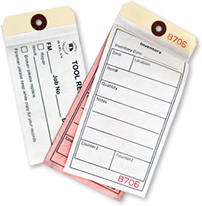 We make it easy to get a price for custom manifold tags. These handy tags have paper copies that can be torn off of the tag. Use these paper copies for your office filing or to follow a work order. Your writing is transferred from the top sheet (or sheets) to the base tag material using NCR-type paper and coatings. To get a quote, answer a few easy questions. 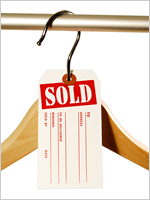 • You will be able to see prices for both 2-part and 3-part manifold tags. • There are no art charges. 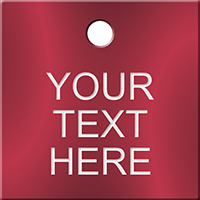 We will turn your rough sketch or faxed copy of an old tag into polished art at no charge (and no obligation!). 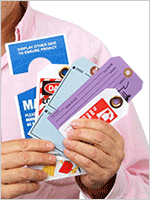 These multi-layered, perforated tags can be customized any way you like.